Provide comfort for the family of Beryl Roach with a meaningful gesture of sympathy. Beryl Ethelinda Roach was born in Roxbury, Massachusetts, on October 20, 1922, at 39 Greenwich Street. She was the second oldest daughter of the late James H. Roach and Ethelinda A. (Niles) Roach of Barbados, West Indies. She was sometimes affectionately known as Sister or Aunt Sister to countless friends and relatives. In 1937, the family moved to Haskins Street. Beryl attended the Boston Public Schools—Asa Gray, Hyde School and in 1941 graduated from the High School of Practical Arts dressmaking program. After graduation, Beryl attended the National Youth Administration and was trained to run several machines. She worked as a machine operator at the Charlestown Navy Yard and was a member of the American Rosie the Riveter Association. After World War II, as a gifted seamstress, she worked in the garment industry for over 25 years and sewed for family and friends. In the mid sixties, when the garment industry began closing down in Boston and moving to the south, Beryl took civil service courses at Boston Clerical. In 1969 she began working for the Commonwealth of Massachusetts Department of Revenue as a clerk and retired in 1991 as a Tax Examiner I.
Beryl devoted her life to family, church and community. She loved to travel and always wanted to know “where are we going next”. She also loved to grow plants. 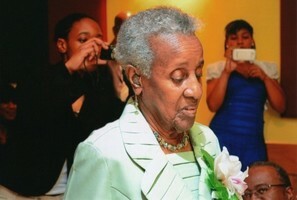 Beryl was raised in the St. James African Orthodox Church and was a devoted member and tireless worker. She taught Sunday School for many years, was a member of the Vestry from 1983 and became treasurer in 2005. After the closing of St. James AOC in 2015, she joined St. Cyprian’s Episcopal Church and was a faithful member until her passing. A life-long resident of Roxbury, in 1969 as a result of the City of Boston’s urban renewal plans for lower Roxbury, she became a founding member of the Madison Park Lower Roxbury Community Development Corporation. For over 40 years she worked as a member and for over 20 years a board member of that organization to fight for not only better, affordable housing but for home ownership for the residents who were displaced as a result of urban renewal. As one of the original members, in 1997 the Madison Park LRCDC and its affiliates honored her for her many years of service by naming their first rent-to-own property after her. Beryl Gardens, located on the corner of Shawmut Avenue and Madison Park Lane in Roxbury, consists of 20 new, limited equity cooperative town houses. The first cooperative and owner occupied facility to be developed by MPDC. Beryl received an award from Boston’s former Mayor, Thomas Menino, for her work with MPDC; three awards of recognition from MPDC for her years of service, a Legacy Award and an Ambassador of Peace award from the Interreligious and International Federation for World Peace. Beryl was predeceased by two sisters, Emy Louise Marshall and Phyllis M. Donelan, and a brother, Horace L. Roach. She is survived by her devoted daughter, Diane M. Davis; two grandsons, John A. Davis (Lynette) of Boston and Jeffrey A. Davis (Angela R); of Cambridge; three great granddaughters, Angelica D, Jeffiany A. and Sarah L and a niece, nephews and a host of other relatives and friends. To send flowers in memory of Beryl E. Roach, please visit our Heartfelt Sympathies Store. We encourage you to share your most beloved memories of Beryl here, so that the family and other loved ones can always see it. You can upload cherished photographs, or share your favorite stories, and can even comment on those shared by others. 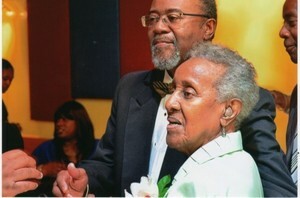 Provide comfort for the family of Beryl E. Roach by sending flowers. To Dianne and family, I am very sorry for your loss. Your Mom’s life experiences and contributions are many and reveal the great sense of pride of Self, Family and Community she had in all she did. I fondly remember how lovingly she assisted our dear neighbor and friend Mrs Burton when she needed help which really endeared Miss Beryl to me. Despite any stresses she may have gone through in her many accomplishments she was able to live a long life full of much love and support from you and Mr Davis. The sad thing about this is that it came to an end. I would like to share a hope that has kept me at peace since my dad passed. Learning that the God of the Bible promises relief from the pain of death and a fix for those who have already succumbed, keeps my heart and mind open and renewed to what will come. May you find comfort in the Bible’s hope that one day we will see our lost loved ones again. Jesus showed how this promise is sure when he resurrected Lazarus. John 11:1-44. Such bible truths provide us with hope and comfort as we look forward to the day when death will no longer be and those who have already succumbed to this enemy will be awakened on a Paradisiac Earth, to a life free of sickness, pain, sorrow and the worries of ever dying again. This being the Creator’s original purpose, it will indeed be fulfilled. Knowing this makes me wonder what wonderful new things Miss Beryl will be able to achieve in the near future. 🙏🏾 Genesis 2:7, 8, 15; Revelation 21:3, 4; John 6:40; 1 Corinthians 15:25, 26 Like me you can learn more about these wonderful bible promises at jw.org. The Bradford family sends their deepest sympathy and prayers.